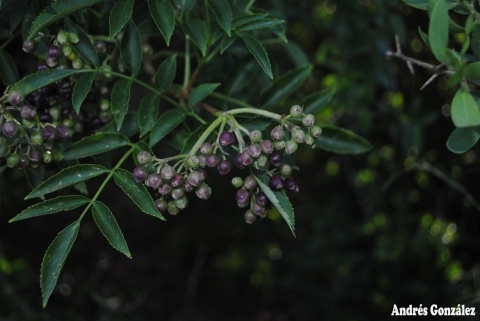 A study of the medicinal properties of Sambucus australis. It can be downloaded from the Internet. S. America - Argentina, Chile, Brazil, Bolivia. A plant mainly of the subtropics, just entering the tropics at elevations around 1,000 metres. ].The black, oval fruit is about 7mm in diameter.